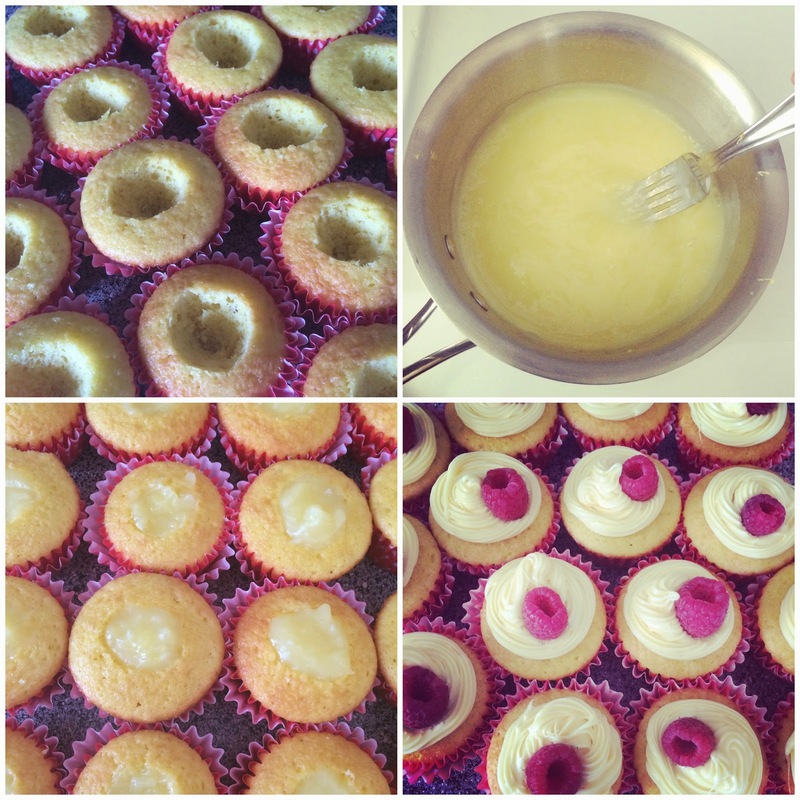 Lisa loves John: Lemon Cupcakes! drooling. stop it. trying to be good. 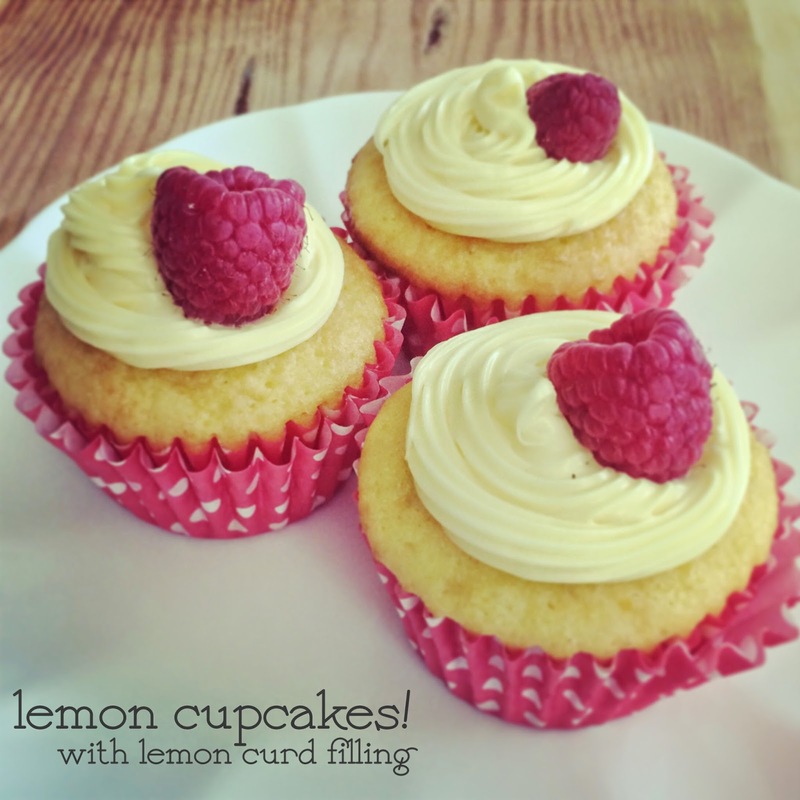 I love lemon, I'm going to have to try these! These are on my must make list!! YUM! WOW - these look sooooo pretty and tasty! 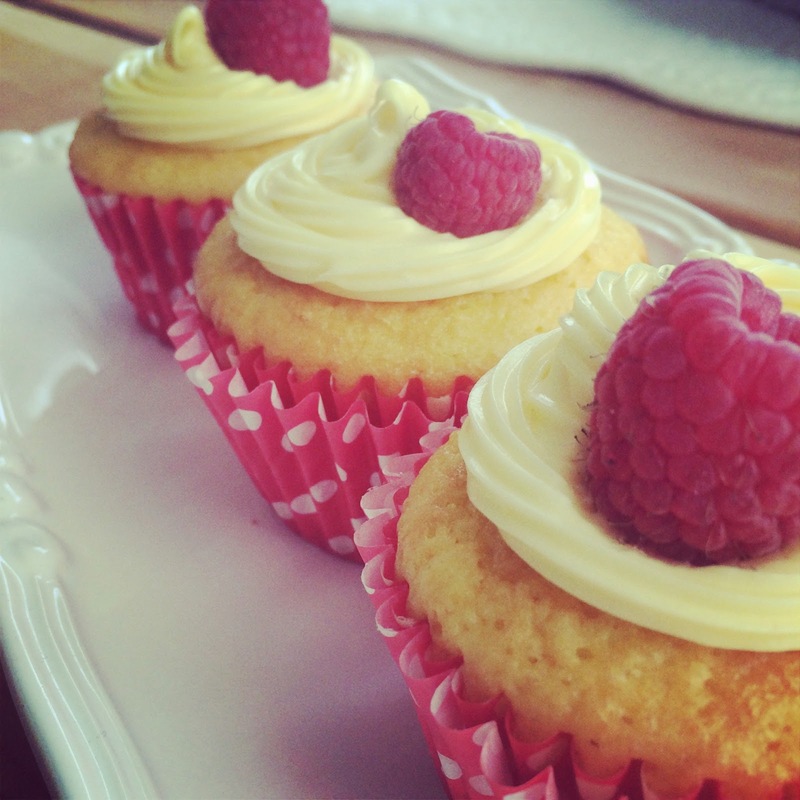 I'm making a raspberry lemonade cocktail later this week for a dinner party...I may need to make these cupcakes as a complementary dessert! YUM! I will definitely be trying these ASAP! Lisa! These are gorgeous and perfect for Summer! Mmmmm! MMMMMMMMMMMMMMMMMM! Ship some to me NOW!!!!!!!! With lemon curd filling, noooooooooooooo! But yesssssssss! My mouth is watering - these look great. Great job frosting too! Those look so incredibly yummy and pretty! I'm giving these a try! So yummy! oh my goodness I wouldn't even touch these! They are so dang pretty its not even funny! These look soooo good! Not to mention are decorated so perfectly! Anytime I make cupcakes, they never look pretty! WOW. These would be awesome without the curd filling, but that makes them even more amazing, I'm sure. YUM! I can't wait to make these! Thanks so much for linking up to Delicious Dish Tuesday! I love all of these great recipes you'r sharing!! Can't wait to see what you bring to us next week! These look SO good and fresh and summery! Love it! These are so pretty! That lemon curd sounds absolutely delicious! These look so delicious. I have been craving cupcakes all day, and I'm pretty sure these are going to be next on my list to make! Thanks for the inspiration! I think I'm going to give these a try this weekend-- orrr maybe tomorrow! haha They sound SO good! Did you use a lemon frosting too or just regular vanilla? Girl...you had me at lemon. I'm a sucker for ANYTHING lemon and these look amazing! Not overly sweet is a big plus for me! I'd love to try out this recipe sometime. These are absolutely fantastic! Thank you for sharing them with Delicious Dish Tuesday. I have featured them (and all the other great cupcake recipes ~ there was something in the air) this week at Coping with Frugality.